After a few fun Passover days, things have calmed down a bit. My house is slowly getting back together, the last few lingering dishes in my sink have been washed and now I'm back in the office. It's a great feeling to laugh and celebrate together with family. How have you all been? 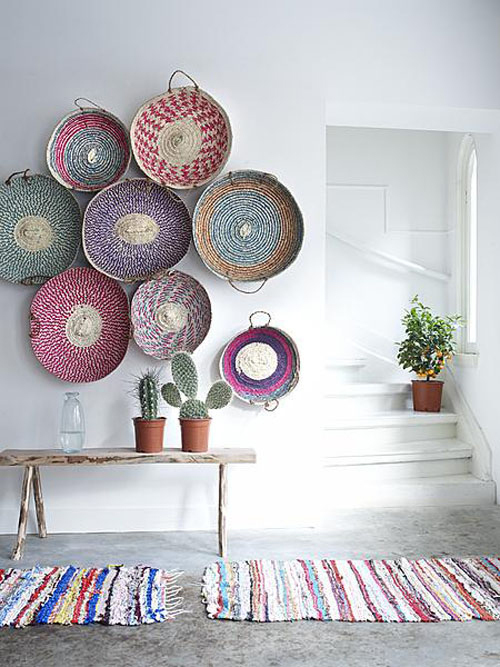 And aren't these baskets a perfect addition to a blank wall?